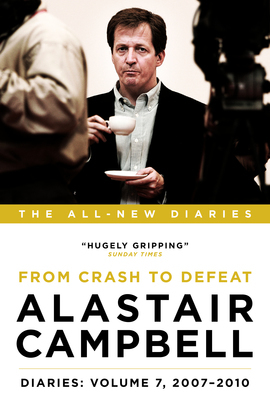 Caught in the no man’s land between being a key figure in Downing Street and the relative anonymity of the world outside politics, Alastair Campbell finds himself being torn in several directions. Having succeeded Tony Blair as Prime Minister, Gordon Brown wants Campbell at his side. Campbell resists, flooding his reservoir of guilt as a general election looms and Brown’s indecision and fluctuating moods suggest the Labour administration is seriously threatened by the Tory ‘posh boy’, David Cameron. Soon Campbell is earning not only praise but big money from motivational speaking and writing novels which darkly reflect the personal mood swings that continue to concern to both him and his family. Serious journalism across platforms old and new puts him back in the public eye and together with live appearances and a love of sport – his enduring love affair with Burnley Football Club still smoulders – sees him board a celebrity merry-go-round that often leaves him far from his comfort zone.